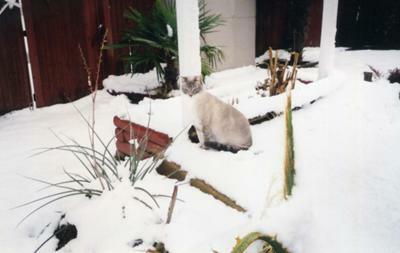 Long before this picture was taken, I nicknamed Abby "Snowcat" because of her coloring. This picture justifies the name, dontcha think??? From looking at the photo, the cat name you chose really does suit the cat! I think the name Snowcat definitely fits. She's beautiful.